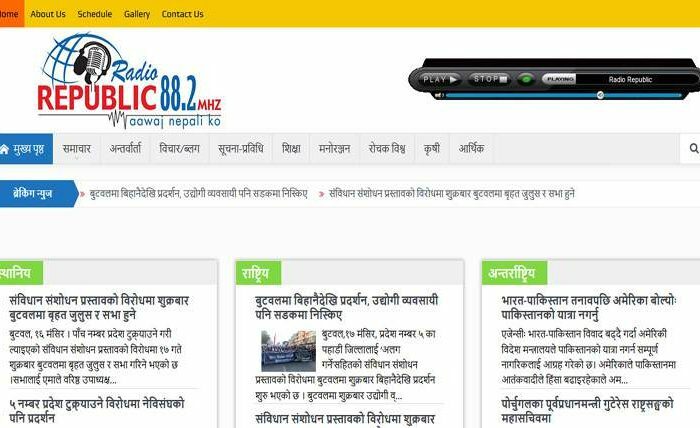 Swadesh Infosys | Best Web Hosting & ICT Services in Nepal ! The company has been providing flex and offset printing services by expert graphics designers. 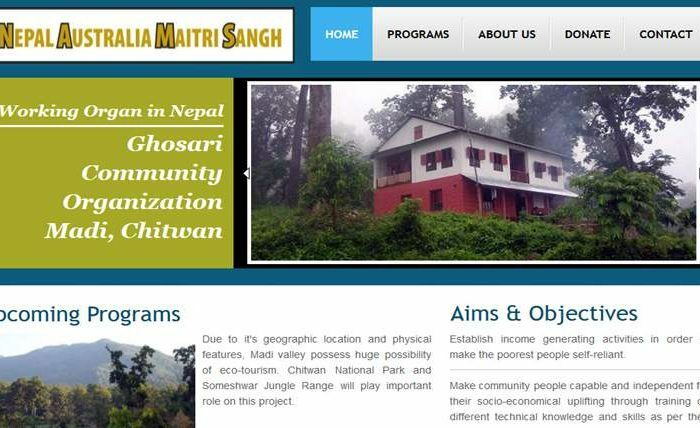 We are the leading ICT Company from Nepal, run by well qualified & experienced professionals. We are also providing laptop, tablet, computer, printer & their accessories sales or maintenance services. 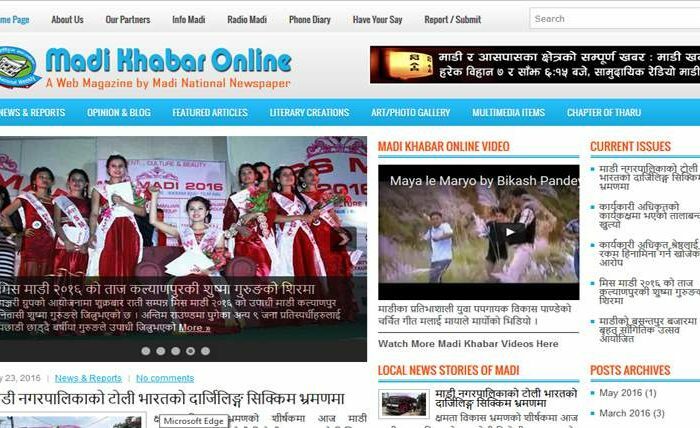 We’re publishing Madi Newspaper/Madi Khabar Online & preparing for Madi Music FM 93.2 MHz. 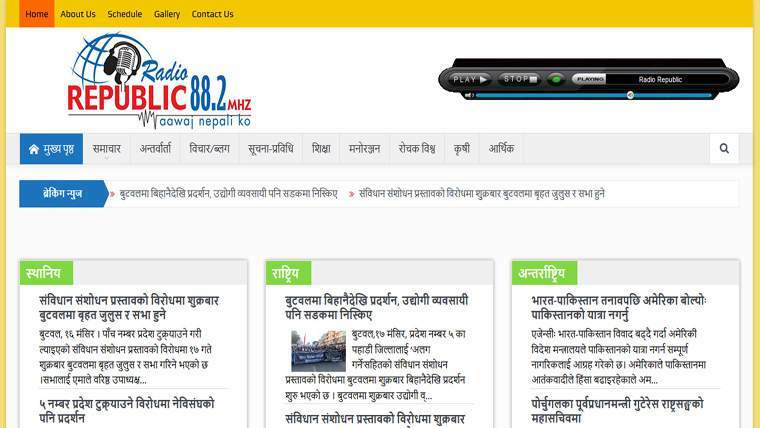 Swadesh Infosys is a Nepal based professional Information and Communication Technology Company. We are a leading information & communication technology company run by well qualified experienced ICT professionals. We have been providing flex and offset printing services by expert graphics designers having rich industrial experience. 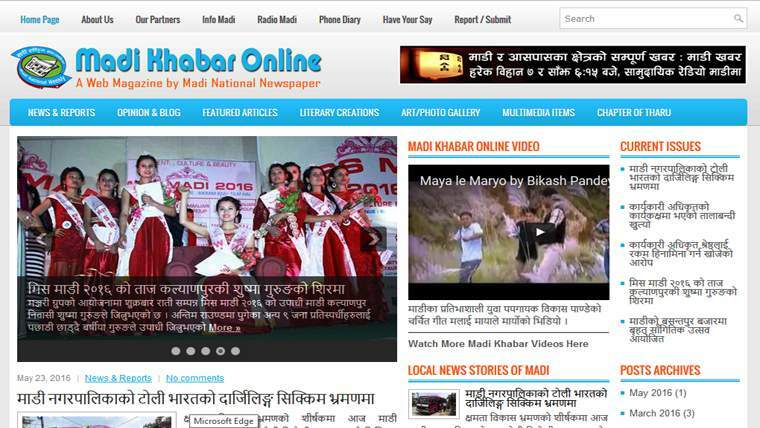 We have been publishing Madi National Newspaper & Madi Khabar Online and are preparing to air Madi Music FM 93.2 MHz. We have been providing laptop, tablet, computer, printer & their accessories sales, maintenance, desktop and cyber services. 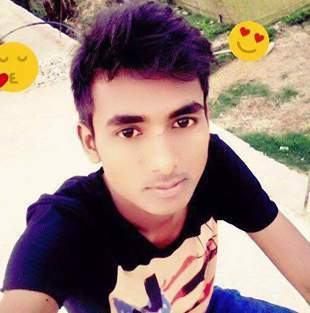 Madi Flex & Computers, being run by the company is the best destination for your graphics designing and photo editing works. We are the perfect platform for you to create any Android or iOS applications & your required Windows or Linux based softwares. Madi Flex & Computers, run by the company is your best platform for movies, music, software or apps download and all e-services. 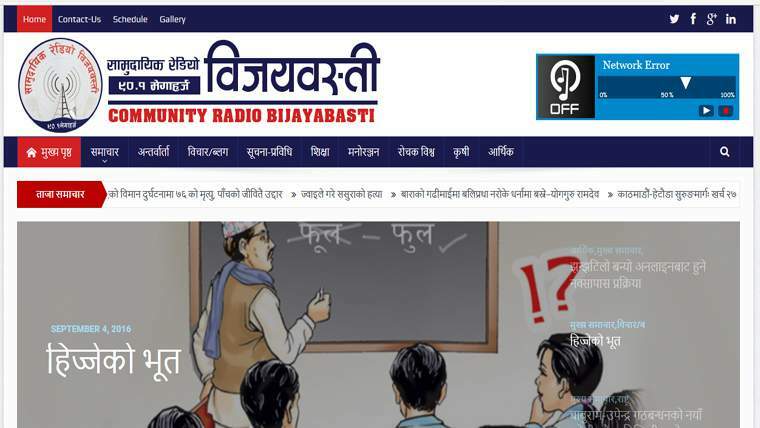 Swadesh Infosys is under process to provide high speed internet services in Madi valley of Nepal based on optical fiber connection. 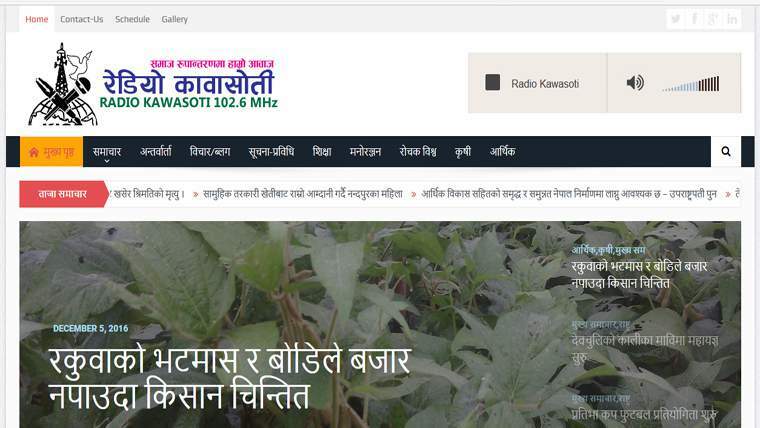 We've been running various Information and Communication Technology based works and projects in Nepal. And, the page only shows some selected webdesign works of the year (2016). 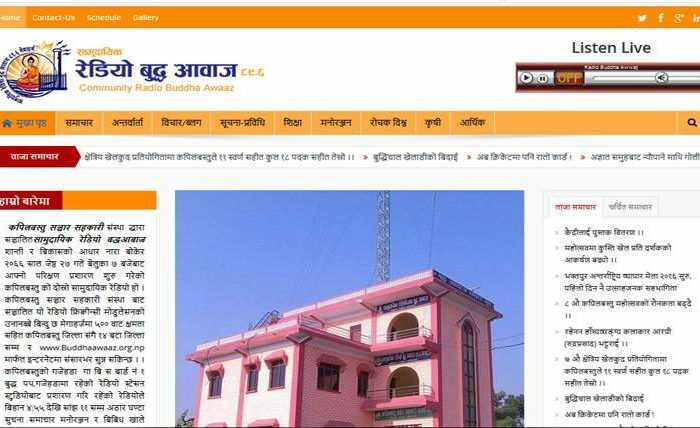 Sworna Khabar is an online news portal, run by Sworna Khabar Weekly Newspaper, Bharatpur, Chitwan. Swadesh Infosys is the sole IT partner of the online, powering on every aspects of it’s graphic & online works. 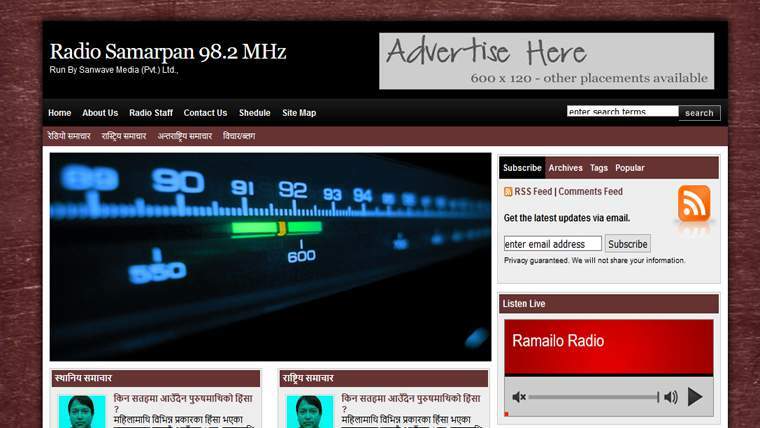 Radio Samarpan 98.2 MHz is the famous radio station, airing from Simara, Bara. Swadesh Infosys is the sole IT partner of the station, powering on online streaming, mobile app and web services. 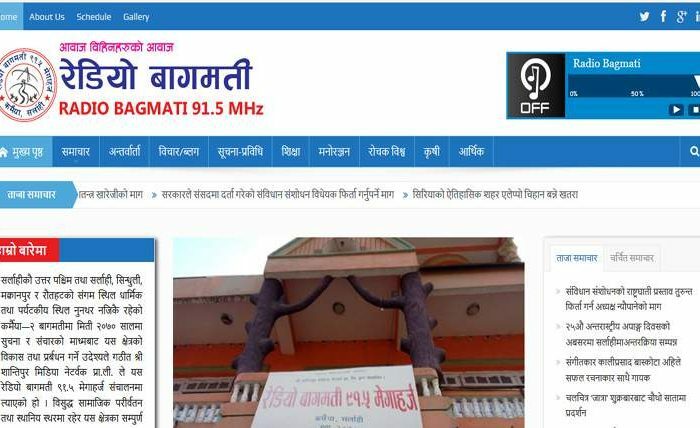 Radio Madhesh Masla 106.4 MHz is the famous radio station, airing from Garuda, Rautahat. Swadesh Infosys is the sole IT partner of the station, powering on online streaming, mobile app and web services. 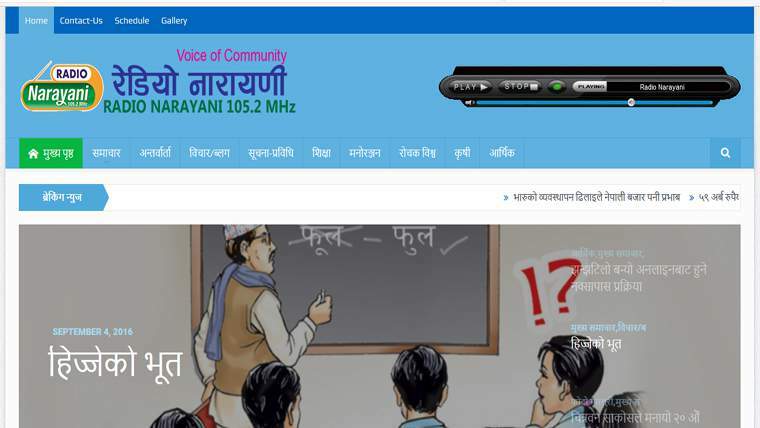 Community Radio Narayani 105.2 MHz is the famous radio station, airing from Bharatpur, Chitwan. Swadesh Infosys is the sole IT partner of the station, powering on online streaming, mobile app and web services. 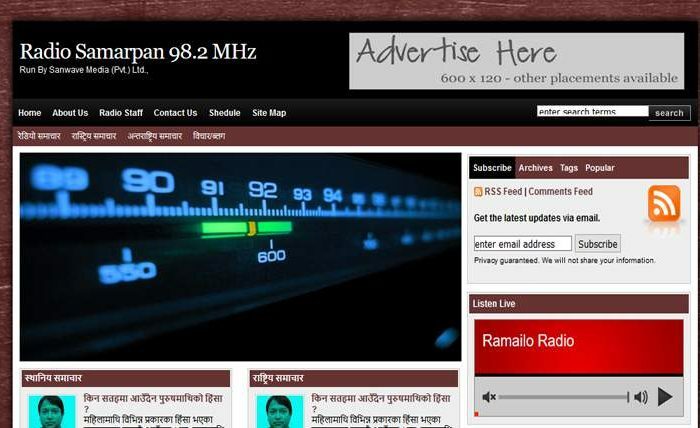 Radio Republic, 88.2 MHz is a radio station, airing from Butwal, Rupandehi. Swadesh Infosys is the sole IT partner of the station, powering on online streaming, mobile app and web services. 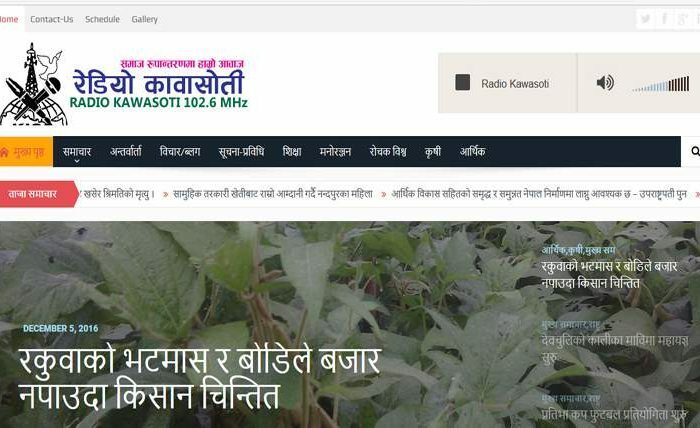 Radio Kawasoti, 102.6 MHz, is a local radio station, airing from Kawasoti Municipality Nawalparasi District. Swadesh Infosys is the sole IT partner of the station, powering on online streaming, mobile app and web services. 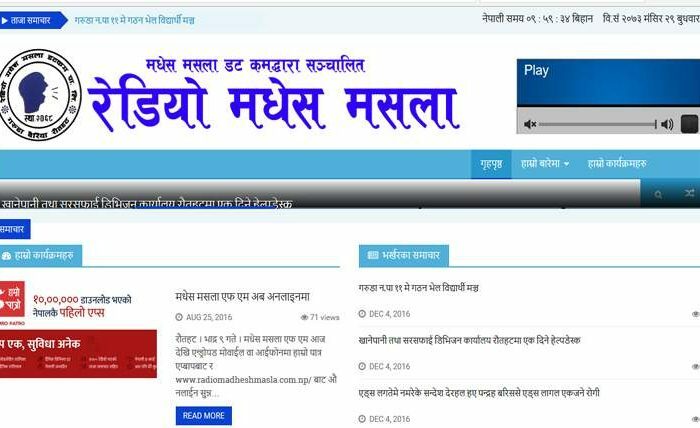 Nepal Australia Friendship Association is a non-profit organization based on Australia and working in Madi valley of Chitwan. 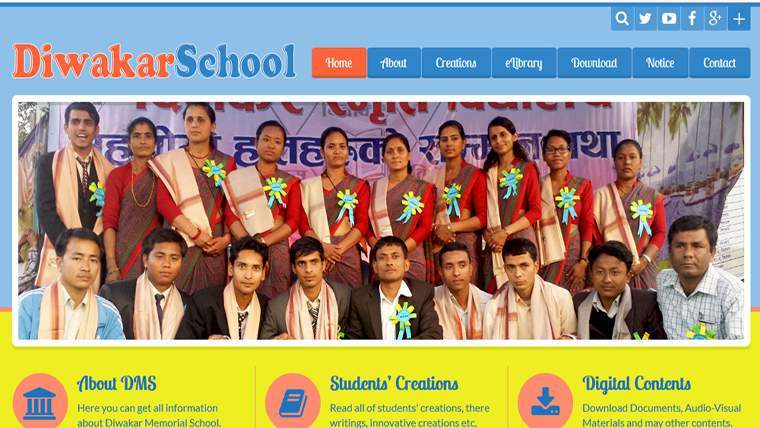 Swadesh Infosys has been hosting website to the organization and supporting on it’s social works. 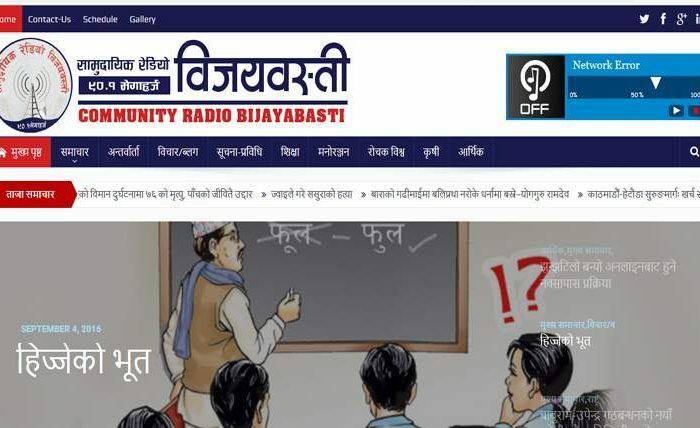 Community Radio Bijaybasti 90.1 MHz is a rural community radio, airing from Bijaybasti of Nirmalbasti VDC, West Parsa. Swadesh Infosys is the sole IT partner of the station, powering on online streaming, mobile app and web services. 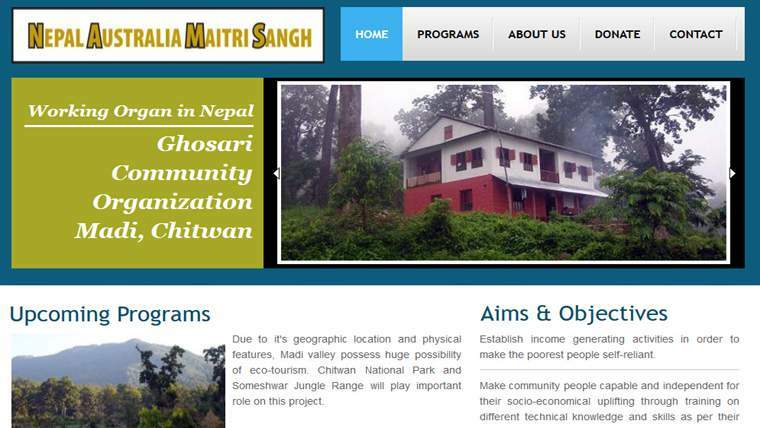 Diwakar Memorial School is a non-profit school, established and running in Madi, Chitwan. 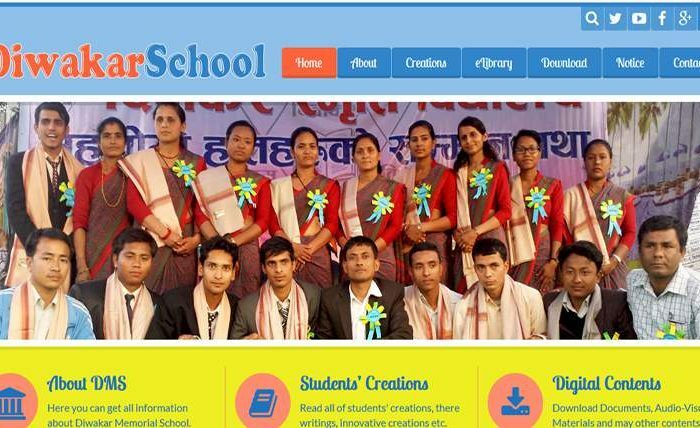 Swadesh Infosys has set up e-library and e learning system in the school and is the sole IT partner of the school. 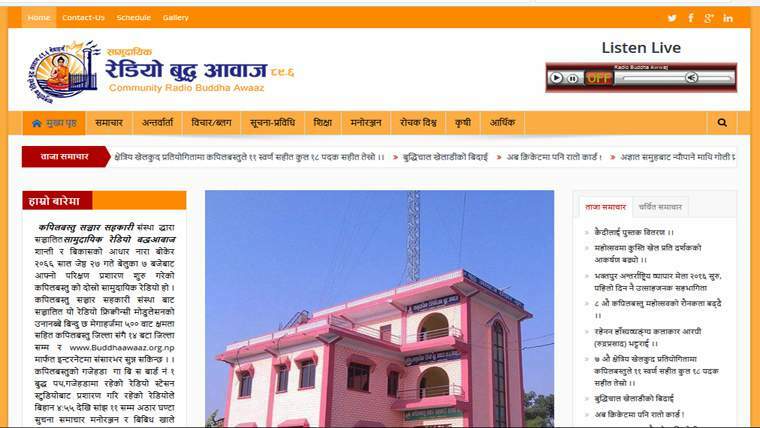 Radio Buddha Aawaj 89.6 MHz is the famous radio station, airing from Kapilvastu district. Swadesh Infosys is the sole IT partner of the station, powering on online streaming, mobile app and web services. 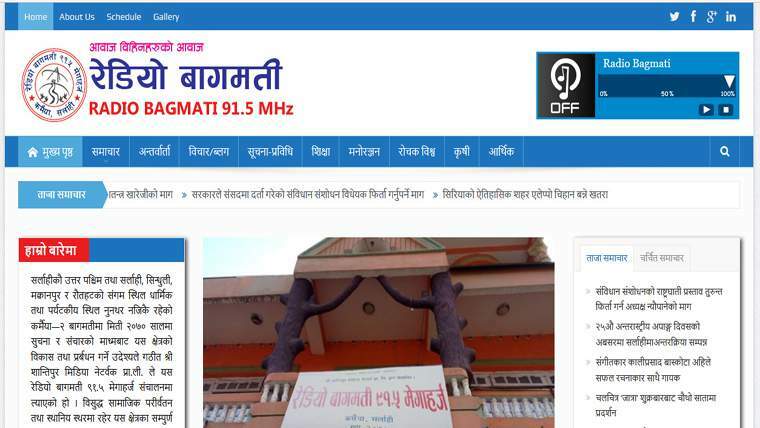 Radio Bagmati 91.5 MHz is the famous radio station, airing from Sarlahi district. Swadesh Infosys is the sole IT partner of the station, powering on online streaming, mobile app and web services. We let you choose every features and requirements for your website that you want to choose from. Check your quote for the website and contact/email us for instant setup. We do everything with our core values of Honesty, Hard Work and Trust for utmost satisfaction of our clients. Meet the Swadesh team, a perfect blend of Creativity and Technical Wizardry. 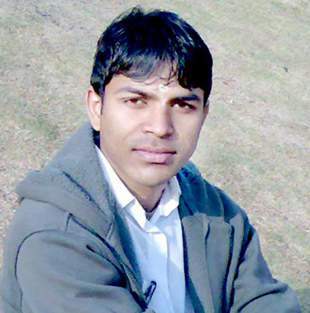 Aashish Chaudhary is a professional Flex/Offset operator, computer designer and technical member of maintenance services. 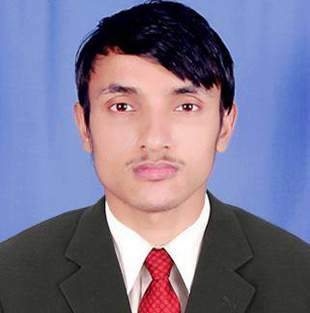 Keshar Bhandari is a professional graphics designer, content writer, author, poet and an expert computer instructor. 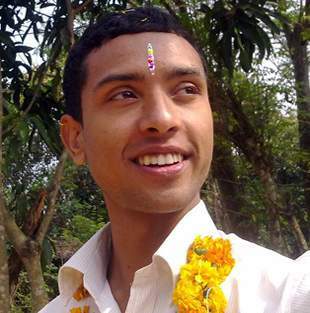 Om Bhandari is a professional web developer, creative writer, graphics designer and an expert computer lecturer in Nepal. 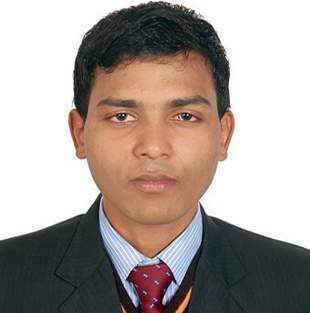 Ram Kumar Shah, the FO & Kathmandu contact person of Swadesh Infosys is a university student of business management. 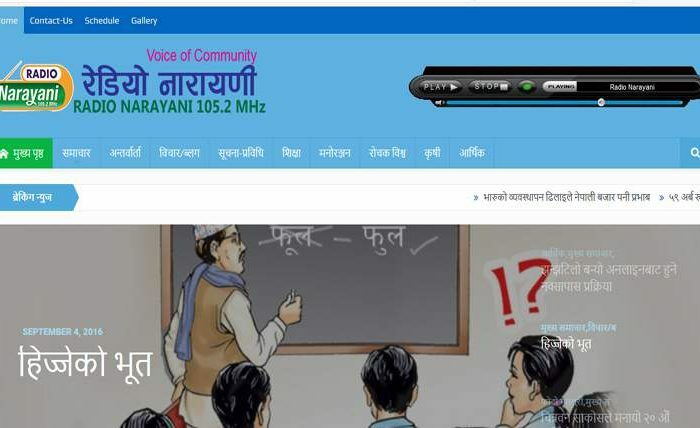 Dev Narayan Shah ‘Anjaan’, also the MD of Community Radio Madi is a pioneering media and ICT personality of Nepal. 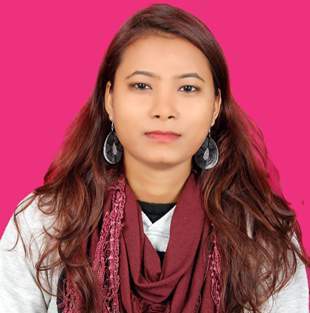 Apekshya Chaudhary (also Known as Sarita Mahato) is a media personality and ICT personality based in Madi Nepal. Our friendly team are always standing by and eager to help you. Just make a call, send an email or drop by to have a chat. We'd Love to be touched or hear from you, anytime!